JAY STRONGWATER CHRISTMAS TREE SKIRT PUZZLE JEWELED EDGE BURGUNDY SIAM BRAND NEW by Jay Strongwater at Two Clock. Hurry! Limited time offer. Offer valid only while supplies last. 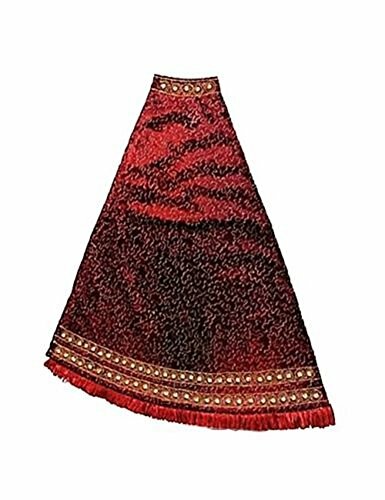 JAY STRONGWATER FESTIVE CHRISTMAS TREE SKIRT Name: SIAM Color: BURGUNDY RED 60'' Diameter Multicolor SWAROVSKI Crystals BRAND NEW, ORIGINAL, NO BOX.